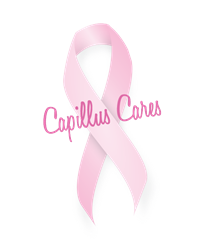 Capillus, LLC continues to support the fight against breast cancer this year by pledging to donate 3% of sales from all Capillus laser therapy caps purchased on Capillus.com during the month of October to breast cancer research. The Capillus caps use Low Level Laser Therapy technology (LLLT), a medical treatment for hair loss that is both minimally invasive and chemical-free. LLLT treats a myriad of issues, including androgenetic alopecia—more commonly known as male or female-pattern baldness. 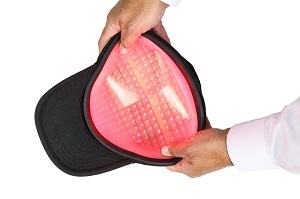 Physicians sometimes recommend Capillus laser caps to patients who are seeking hair restoration post medically-induced hair loss from chemotherapy. Individuals are advised to consult with their doctor or physician about using Capillus for anything other than its intended purpose as it is only cleared for use by the FDA for the treatment of hereditary hair loss. According to the Cancer Treatment Centers of America (CTCA), there is a 95% survival rate in men and women, when breast cancer is detected within the first six months. Thanks to modern medicine and early detection, the breast cancer survival rate is very high, but hair loss is still a major concern for chemotherapy patients. Capillus currently offers three FDA-Cleared laser caps for direct sale via http://www.capillus.com. Capillus offers a value model in the Capillus82™ which includes 82 laser diodes, a mid-range device with the Capillus202™ containing 202 laser diodes as well as a premium Capillus272™ Pro device with 272 laser diodes. Most recently, Capillus introduced its newest model containing 312 laser diodes for maximum coverage, the CapillusRX™, which is exclusively available for sale through the company’s physician network. Capillus will donate 3% of sales from any of the aforementioned devices that are purchased from http://www.capillus.com to breast cancer research throughout the month of October. Capillus, LLC offers prescription and over-the-counter hair regrowth products and medical devices for both men and women suffering from hair loss. The Capillus premiere product lines include low-level laser therapy (LLLT) devices that are FDA-cleared and manufactured in the US under the highest-quality certification standard for the medical device industry (ISO13485). Capillus also offers additional non-prescription clinical hair products for hair and scalp health. Capillus products are available directly to the public for at-home use and also to their network of physicians for office use. For more information visit http://www.capillus.com.